Welcome to the most celebrated patisserie competition in Paris - ready, steady, bake! Watching snowflakes settle on the Eiffel Tower, Rachel Smithson's cosy English village feels very far way - as, thankfully, does her commitment-phobic ex, probably already kissing someone else under the mistletoe. But Rachel hasn't come to Paris to mope she's come to bake. Hard. Because the search for Paris's next patisserie apprentice is about to begin! And super-chef judge Henri Salernes is an infamously tough cookie. But Rachel isn't about to let her confidence (or pastry) crumble. She's got one week, mounds of melt-in-the-mouth macaroons and towers of perfect profiteroles to prove that she really is a star baker. 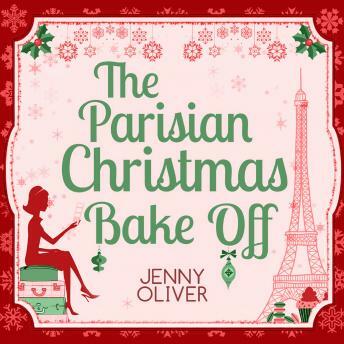 Not even a dusting of icing sugar could make The Parisian Christmas Bake Off a more perfect Christmas treat!